The first step of our Membership Site Funnel is the Optin Page. Since we’re going to be using WordPress exclusively for the entire membership site – all our landing pages for the funnel will be built using FunnelForMe. In today’s “15-Minute Sprint“, I explained some concepts behind the Optin Page and then designed the complete Optin Page from Scratch in WordPress. Since we’ll be directing visitors from our ads to the optin page and from the optin page to the VSL – there needs to be a consistent flow of hooks. The DOer Club will primarily consist of Bizathon courses. And the first course in the membership site will be the first Bizathon challenge – Email Business from Scratch. So we have to showcase the results from that Challenge and then tie in a UNIQUE perspective – being unique is VERY important. 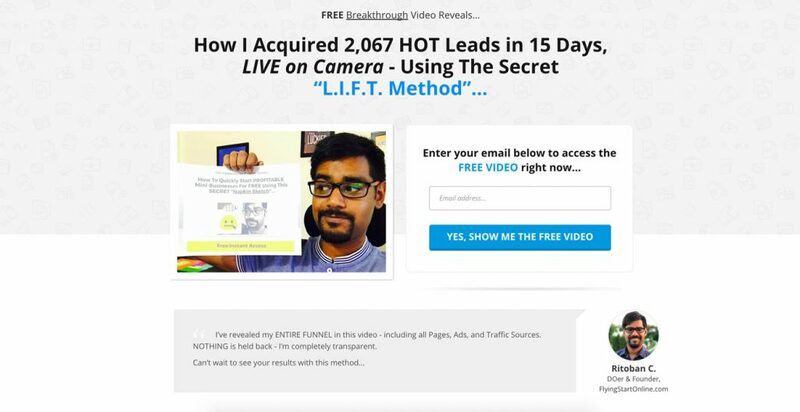 Our hook consists of the fact that we were able to generate 2000 leads in 15 days (since traffic started) and we were able to do it using the L.I.F.T. Method. Tie these in together and keep the same hook across the funnel (Ads, Optin Page, and VSL) = Magic! Added an iPhone color filter on the selfie, and then emailed the pic to myself. 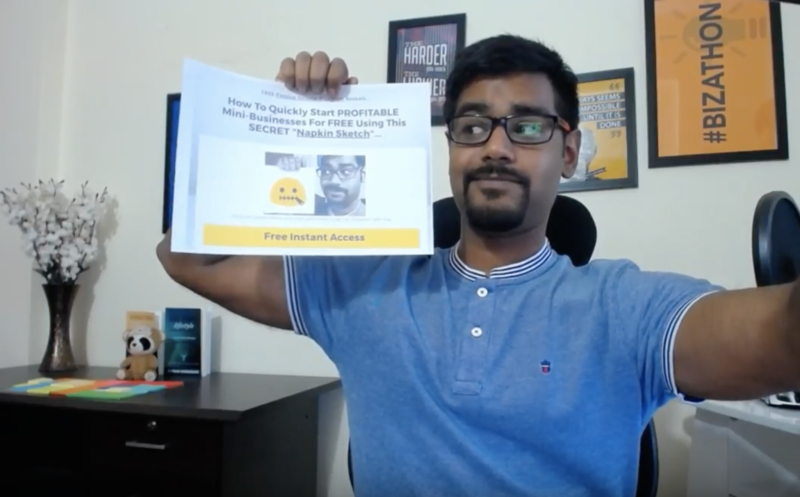 I then used the FunnelForMe plugin – which allows you to create great looking landing pages right inside WordPress with an easy to use editor. Tell me this isn’t good enough for 15 minutes of work!